Macula Vision Research Foundation has gone to new heights — Times Square, New York City — to spread the word, as part of our new Awareness Campaign. 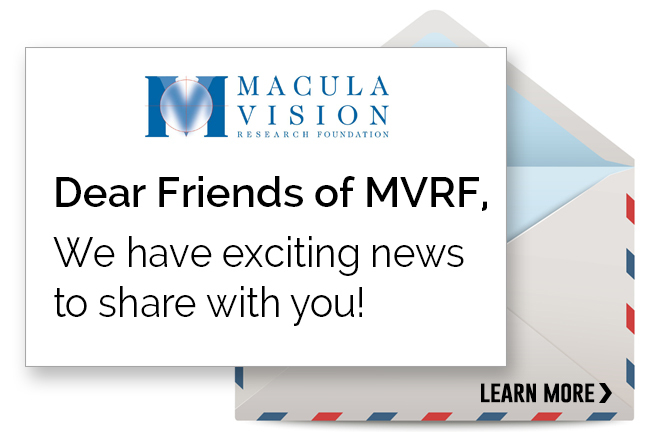 This fifteen second video about MVRF is displayed on the CBS David Letterman Superscreen, putting MVRF in front of 1.5 million people per day! Check it out! If you’re in NYC and take a photo of it on your smartphone and email to Keith@mvrf.org, we’ll send you a gift.